From educational museums to a vibrant nightlife, downtown St. Augustine has a little bit of everything. You can go from learning about St. Augustine history to enjoying an expertly crafted cocktail in just a matter of steps! Best of all, most of these fantastic attractions are just a short walk from the Agustin Inn. Discover the many wonderful and exciting things to do during your stay with us! If you’d like even more suggestions for St. Augustine attractions, access our free Vacation Guide! Learn about the best beaches and parks in the area, as well as some excellent oceanfront bars, historic forts, and fascinating museums. There’s no better way to get to know the city than by taking a hop-on, hop-off trolley tour! Old Town Trolley Tour is the most popular option in the city, and it’s no wonder why. 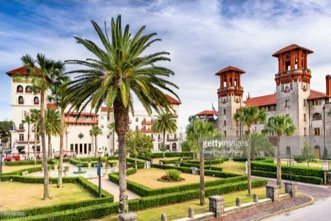 There are 23 stops in total, including the Lightner Museum, the St. Augustine Distillery, Castillo de San Marcos National Monument, and Mission of Nombre de Dios. It’s so easy to explore all of the historic district in St. Augustine, as well as some other sites that aren’t within walking distance of downtown. Be sure to check out their after-dark ghost tour, which focuses on the spookier side of the city. A trip to the nation’s oldest city isn’t complete without touring this famous street. A walk down St. George Street in St. Augustine is one of the best ways to get to know our gorgeous area. It’s a mile-long, pedestrian-only thoroughfare that is lined with some of St. Augustine’s most famous spots and shops. For a gorgeous new piece of jewelry, stop by Serenity Blue or the Sunburst Trading Company. If you’d prefer to purchase a quality leather bag, the Spanish Dutch Convoy is the perfect place to go. Dog-lovers shouldn’t miss the chance to browse Faux Paws, a specialty boutique catering to the four-legged crowd. The historic district of St. Augustine is a must for anyone interested in learning about our town’s long past. From the Spanish and British influences that still shape our town to the forts and monuments lining the water’s edge, there is so much to learn! Luckily, there are plenty of St. Augustine museums to educate locals and visitors. One of our favorite spots is the Spanish Military Hospital Museum. This attraction is just a seven-minute walk from Agustin Inn and showcases life in a military hospital circa 1791. It’s a unique spot and one that shouldn’t be missed! Another great attraction in downtown St. Augustine is Colonial Quarter. Also located on St. George Street, this living history museum showcases life in 17th-century St. Augustine. You can explore the grounds, including climbing to the top of the replica Spanish watchtower, as well as see musket and blacksmithing demonstrations. For a more general overview of the nation’s oldest city’s fascinating past, head to the St. Augustine History Museum. You’ll learn about everything from the city’s founding in 1565 to how Henry Flagler helped turn St. Augustine into a popular destination. With so much to do and see in town, it’s easy to work up an appetite. Luckily, there are plenty of amazing downtown St. Augustine restaurants to keep you satisfied. 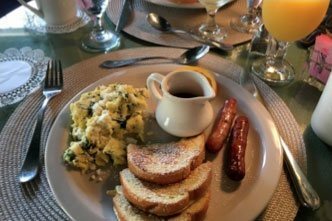 The Floridian Restaurant’s motto is “innovative southern fare for omnivores, herbivores, and locavores,” and they do just that! You’ll find deep-fried comfort foods as well as lighter vegetarian options. It’s just a short four-minute walk from Agustin Inn. Cellar 6 began as a quiet wine bar with upscale tapas but has since become a hotspot for urban cuisine. This is one of the best happy hour spots in town. Check out their incredible dessert menu and creative cocktails! Cellar 6 is next to the Spanish Military Hospital Museum, about a seven-minute walk from our inn. For some classic Cuban and Spanish dishes, head to the oldest eatery in Florida: Columbia Restaurant. You’ll find everything from traditional paella to Cuban black bean soups. It’s just a two-minute walk from Agustin Inn. St. Augustine is known for its outstanding seafood, and there’s no better place to try some than at Catch 27! The chefs here use fish, shrimp, and clams that have all been caught in local Florida waters and which are delivered fresh every day. It’s just a two-minute walk from Agustin Inn. La Pentola combines old world charm with Mediterranean and Latin fine cuisine. Their menu features seafood, prime cuts of steak, innovative pasta dishes, and even wild game. These incredible plates are perfectly paired with their extensive wine menu. La Pentola is open for lunch and for dinner and is just a three-minute walk from Agustin Inn. Another great date-night spot is Michael’s Tasting Room. They are our next-door neighbor and specializes in creating elegant dishes using seasonal, local ingredients. They also have an outstanding beer and wine menu. 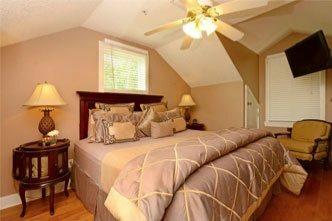 After you’ve spent the day traversing downtown St. Augustine, return to the comfort of the beautiful Agustin Inn. We have combined the historic charm visitors expect from St. Augustine with the modern conveniences and amenities of a hotel. From our selection of gorgeous guest rooms to our scrumptious complimentary breakfast, no detail has been overlooked. Consider booking one of our specials and packages to enhance your stay and fully experience St. Augustine! 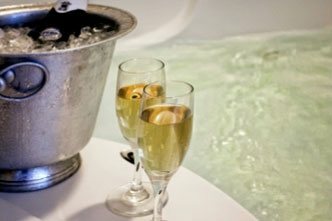 If you’re taking an intimate getaway with your loved one, we have four wonderful packages from which to choose. 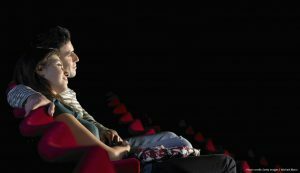 The Limelight Theatre Package puts a spin on “dinner and movie” by upgrading it to a night at the theater! This package includes dinner for two at La Pentola Restaurant, two tickets to see the featured play at the Limelight Theatre, and transportation from dinner to the theater and then back to Agustin Inn. Discover it for yourself. Check our availability and book your room today. We look forward to having you. Looking For Fun Things to Do in St. Augustine?